The PR-C101 single-sided printer provides a simple and affordable out-of-the-box solution for high quality, high durability ID cards with low maintenance requirements. The printer is small enough to fit into an office overhead bin or under a counter. Offering the first ever rotating LCD panel and optional front or back exit, the PR-C101 can be placed in any orientation to fit your office environment perfectly. The printer’s ribbon cassette and cleaning assist roller unit is disposable. The PR-C101 will come packaged with an entry level badging software application. This basic professional solution is great for every small organization, including police, libraries, schools, clubs, casinos and more. The PRC-151 offers a small foot-print, 24-bit color, 256-Grayscale, security lamination, encoding options and prints at the astounding speed of over 144* cards/hour! 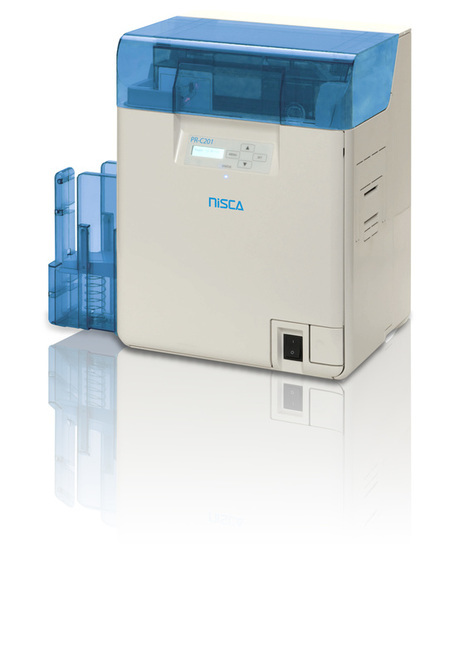 The PR-C151 has the same NiSCA quality, manufactured in their ISO certified production facility. The printer offers brilliant 24-bit images printed on CR80 cards with thicknesses ranging from 20 mil – 50 mil (.25mm-1.27mm) (10 mil Special Order). The PR-C151 is available with options for MagStripe encoding and security lamination with the addition of the PR-L151 laminator. Optional lamination with the PR-L151 laminator. The PR-L151 Heat Roller (laminator) is designed to easily attach. The unit offers high-speed lamination for standard CR-80 cards and offers a state-of-the-art RS-422 high-speed communication port interfaces with the printer and allows the printers firmware and driver to optimally configure the unit for a variety of laminate materials. Additionally, multiple PR-L151's can be attached together and configured with one printer to apply different types of laminate materials to a card. This solution offers the utmost in security and protection for your applications. 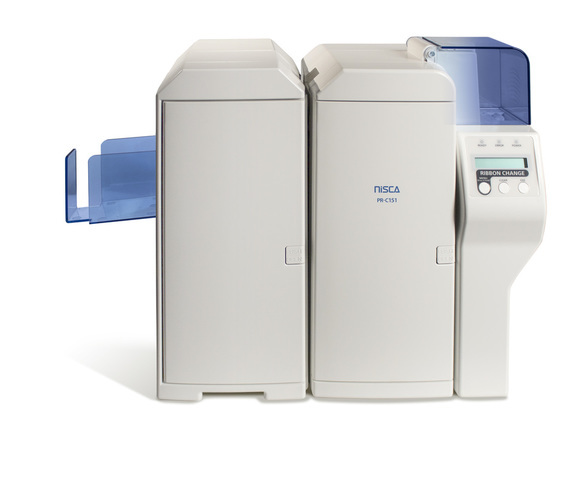 NiSCA's retransfer printing technology allows you to print FULL COLOR, FULL BLEED IMAGES in brilliant true color. The retransfer process uses dye sublimation to print a high-resolution image in reverse directly onto the film base. The printer then thermally transfers the image and film onto the card surface through heat and pressure, thermally bonding it to the card surface. 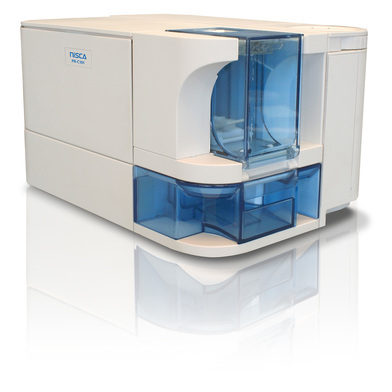 The PR-C201 offers a high speed, 600 dpi, 24-bit color and prints at the astounding speed of over 145* cards/hour! The PR-C201 comes available with an optional encoder, mag encoder, contact encoder and/or contactless encoder. 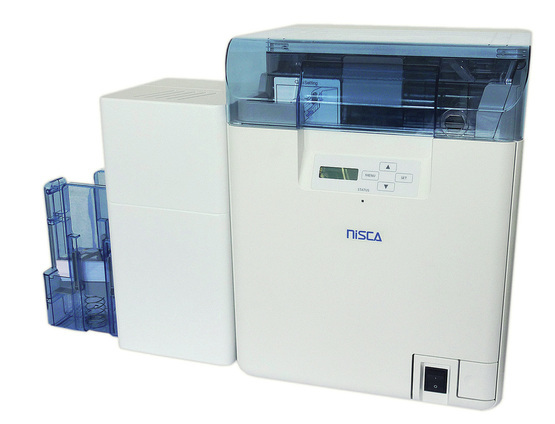 Add the L201 laminator feature with dual-sided lamination to the PR-C201 retransfer card printer. The new laminator option will provide an extra layer of protection and security which is an essential security element for government credentialing, state driver’s licensing and for organizations with high security requirements. In addition, this model provides increased durability and prolonged card life by preventing image fading and dye migration that can occur with normal card use. Lamination can be field-installed even after your purchase!